It’s the start of a new season. A new manager is standing at the training ground watching his players, internally wrestling with inevitable pre-season selection issues. He has the boisterous and busy Arnautovic, strong and determined in the final third, with a crowd-pleasing attitude to take games by the scruff of the neck. Then there’s Hernandez, the diminutive yet tantalising ‘fox in the box’ who receives ‘god-like’ praise from his home nation. 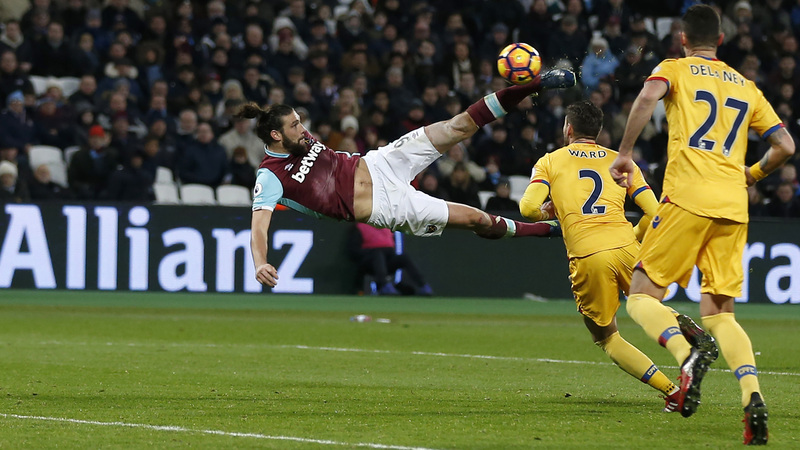 A fully fit Andy Carroll is winning everything in the air, showing agility and a deadly finish despite the size of the man. Perez shows promise, a similar keen sense of place (like Hernandez) as he pops up to grab his goals. All in all, it’s a promising front line, one that’s surely going to give the manager a selection headache when it comes to game day. Of course while the aforementioned players have shown promise at various stages in their career, it would be a rare kind of fortune if they all flourished simultaneously. It might be unkind yet ominously true to point out that when does a player ever really peak at West Ham? The usual process is either cashing in before they hit their potential, or else trying to squeeze a few seasons out of older players in the downward trajectory of their careers. Anything in between is either Mark Noble or…well, not anyone that sticks around for long. Regardless, it’s always the job of the manager to juggle what players he has as their form ebbs and flows. No easy task for Pellegrini this season, as all of the attacking options seem to have transpired to trip him up along the way. There’s little need going over Arnautovic’s fall from grace, save to say the same personality that endeared him to fans was also his undoing. Hernandez, meanwhile – always a somewhat strange coupling with West Ham – never really got going despite illustrating his time at the club with typical poacher goals here and there. Chico’s problem was not so much the provision of goals, but the sometimes apparent lack of effort in between them. Perez was brought in as backup to the first line of attack, something everyone was privy to except himself. Fair play to him when he took two goals on a rare start for the club – yet it was to be a nasty gash on his foot that would put to rest any notion of a run in the side. That leaves poor Andy Carroll, perhaps most familiar with the physio team. His constant time off has been a huge frustration, especially given the rare glimpses of brilliance he would tease the fans with. While in previous seasons he appeared quite content to sit out on his hefty wage, even Carroll himself was visibly shaken at the prospect it was all coming to an end this season, if his last tearful goal celebration was anything to go by. It’s hard to pinpoint exactly where the forward line is letting down the team and its manager, since there’s not really one issue that stands out. Pellegrini’s handling of Arnautovic was commended by many, yet results and performances on the field suggest it’s not been a good outcome. So too the manager might be at fault regarding Perez, though it’s also fair to point out that the player’s attitude in that case has been far from stellar. Hernandez remains professional, adding important goals along the way. But surely he must be wondering what else he needs to do when finding himself dropped against Everton after his brace at Huddersfield. There’s more to explore in formations, service from the midfield, general attitude and application from the team as a whole, and so on. But ultimately, when you’re looking at a Premier League team with notions of pushing on for a place in Europe, you associate such clubs with at least one stand out striker. What’s all the more frustrating is we certainly felt we had one or two when the season started. But if it’s part of the process while Pellegrini continues to install his methods and mentality on the club, it might yet be a while before we truly see the best of our strikers. Failing that, perhaps this Summer we’ll see even better ones.